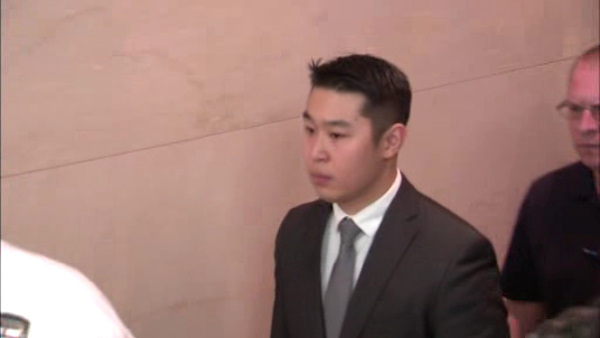 NEW YORK (WABC) -- Jury selection starts Wednesday in the trial of NYPD Officer Peter Liang, charged with the 2014 fatal shooting of an unarmed man inside a Brooklyn apartment stairwell. Liang was a rookie when he accidentally shot Akai Gurley in a dimly lit stairwell of Brooklyn's Pink Houses. Liang opted for a jury trial, and opening statements could start Monday. He has also indicated he will likely testify in his own defense. In court Tuesday, NYPD Lt. Vitaliy Zelokov recounted the seizure of Liang's gun and the officer's state after the shooting. Outside court, Gurley's aunt Hertencia Peterson questioned whether her family will see justice. "Had it been an ordinary person, that individual would have already been behind bars, awaiting trial," she said. "We want a fair trial, but will we get a fair trial in New York City? Look what happened on Staten Island."